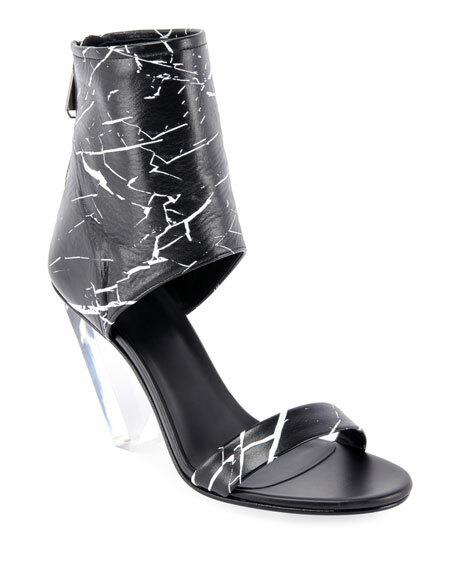 Alexander McQueen high leather sandals with chain-trim detail. 4.1" metal pedestal heel. Open toe. d'Orsay silhouette. Back zip eases dress. Leather lining and sole. Made in Italy. Chloe "Victoria" lizard-embossed leather sandals with mixed chain trim. 3.5" covered stiletto heel. Open toe. 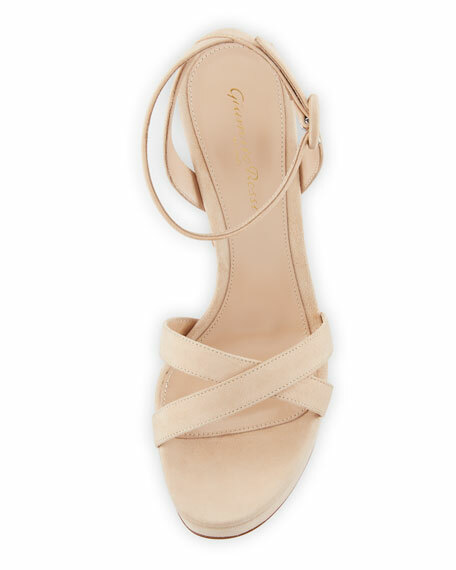 Strappy upper. d'Orsay silhouette. Side zip eases dress. Leather lining. Smooth outsole.